Farms - Judith-Ann Realty, Inc.
29.40 acres of privacy included with this well kept manufactured home. Home sits high on a hill and features an eat in kitchen with pellet stove, dining room and living room with vaulted ceiling and wood burning fireplace. 3 bedrooms, (master has pellet stove and it's own bath with jacuzzi tub), 2 bath, an office and large pressure treated deck off the back. Pole barn on the lower portion of the property, equipment building with a work shop and a stall behind it. Fence posts in the ground for turn-outs. If you have horses or cows, this 112 acre spread is perfect for you! It comes with a 3 bedroom, 1 bath Cape that has been remodeled. Land is all fenced in with water running to the fields, tillable acreage on the top, great views of the valley. Tons of wildlife, surrounded by 1000's of acres of forever while land owned by the county. Large conventional barn, (a few more barns, each have water and electrical), 4 greenhouses, several large dug ponds and more. Large Farmhouse situated on over 25 acres. 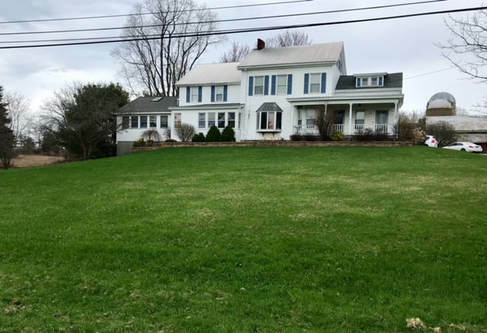 Main house has kitchen with appliances, formal dining room, large living room, den, a 1/2 bath, (downstairs), and solarium, used as a family room.Upstairs has 3 bedrooms and 1 full bathroom. Separate in law apartment is in need of some repair and has kitchen, living room, 1 bedrooms and a bathroom with laundry area. 2 car garage, an older conventional style barn with silos in need of TLC. Beautiful 17.5 acre working horse farm set in a quiet country setting! It has a 22 stall horse barn that attaches to a 60' x 100' indoor riding arena. 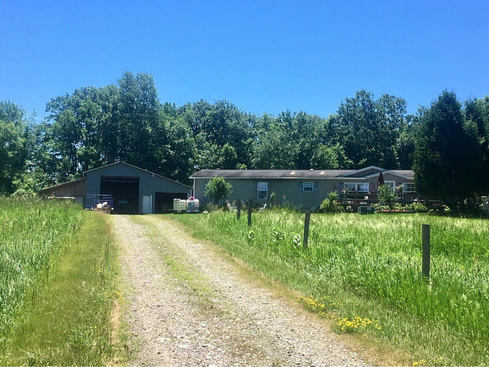 There are 3 turn outs, a fenced in hot walker area, two equipment garages, a tack room, a 3/8 mile oval track in the back field with a dug pond adjacent to it, and so much more! The house on the property is a clean 1997 manufactured home that has 3 bedrooms, 2 full baths, kitchen with appliances, dining area and living room. Call or email for your private tour! Great 85.90 acre investment property on NYS Highway 30. Commercially zoned and comes with a recently renovated 4 unit building and a renovated 1 family. Many commercial or agriculture uses with land. Also come with a post and beam conventional barn and a great Town of Perth location in the Broadalbin Perth school district. Borders car dealership and gas station. Subdivision potential that is endless!! !